National Holidays are a great opportunity to do something extra special and different on your social media channels. 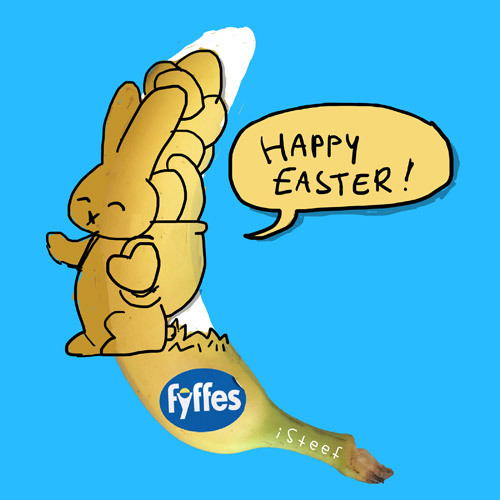 That’s why Fyffes Ireland posted an exclusive piece of banana art I created to celebrate Easter. You can see the result and the sketch I proposed here below. 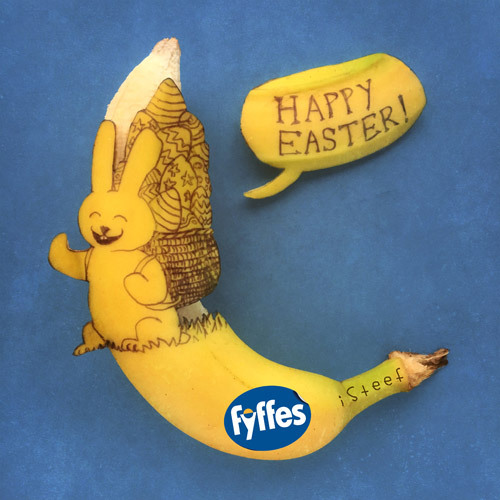 For this I worked together with ‘In the Company of Huskies’, the media company that manages Fyffes Ireland’s social media. The result was a pleasing creative, well received post and a happy client. we were very happy with your piece and its performance! It did very well on both reach and engagement across channels, so it was popular with our audience!